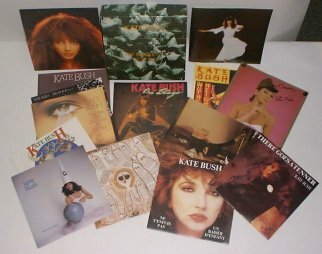 In Leaving Her Tracks you will find a very brief summary of Kate’s recording career which will take you right up to where the news archives of katebushnews.com start off (January 1998). When I first launched this site I felt it was important to emphasise Kate’s standing as a contemporary artist, at a time when many felt that she had simply disappeared from view. Hence you’ll see that towards the end of this summary the entries become more news-like. I wanted to get site visitors up-to-speed and geared up for Kate’s next album – an event that would actually take seven more years to happen, with the release of Aerial in 2005! Note: This page is not an attempt to list the many many appearances/performances Kate has made on television and radio over the years or to describe her many acclaimed promotional videos. In the early part of Kate’s career she did far more promotion than for her later releases. Neither does this present a complete discography, by any means. In the interests of brevity most non-UK/Ireland releases aren’t referred to. For a far more detailed review of Kate’s career (up to 1986) see the chronology written by Peter Fitzgerald-Morris in the book “Kate Bush Complete” (EMI Music Publishing) which was used to check facts for this page, or go to Gaffaweb. 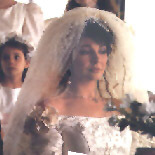 Catherine Bush is born in Bexleyheath Maternity Hospital in London on the 30th July 1958. She grows up with her father Robert, mother Hannah and two brothers John and Paddy at East Wickham Farm in Kent. The family are keenly interested in music, art and literature and Kate develops a talent for writing poetry and putting her words to music on the piano. Ricky Hopper, a music business friend of Kate’s family approaches major record companies with some demo tapes that Kate had made. They are uninterested but Hopper does introduce Kate’s music to Dave Gilmour of Pink Floyd who likes what he hears and agrees to help develop Kate’s songs. Kate records at Dave Gilmour’s home studio. Songs recorded include Passing Through Air (which is released much later as a B-side of Army Dreamers in 1980) and Maybe. Kate considers a career in Psychiatry as she continues with her secondary education. June: Dave Gilmour pays for Kate to record at London’s AIR studios. From Kate’s large number of home demos The Man With The Child In His Eyes, Saxophone Song and Maybe are chosen to be recorded. The first two are released on her 1978 debut album The Kick Inside. (note: ‘Maybe’ has never been commercially released by Kate). July: EMI start negotiating to sign Kate. Kate leaves school with an ever-increasing interest in music and dance. July: Kate signs to EMI records after much negotiations. They give her an advance of £3,000 to develop and widen her talent. In the early part of 1976 Kate attends mime classes. April: Kate, her brother Paddy, and his friends Del Palmer, Brian Bath and Vic King form a band and spend three months touring pubs and clubs in the London area. They call themselves The KT Bush Band and perfom mostly “rock and roll standards” such as Satisfaction, Honky Tonk Women and Grapevine but also some of Kate’s own songs including Saxophone Song and James and The Cold Gun. Summer: Kate records her first album. November/December: Kate’s Wuthering Heights is an airplay hit on British radio as demos are distributed to the radio stations by EMI. January 20th: This day marks the release of Wuthering Heights, the extraordinary single that launches the career of one of the twentieth centuries most unique artists. February 9th: Kate’s first ever TV appearance is on a German television show, Bios Banhof. February 16th: Kate’s second ever TV appearance is on Top Of The Pops the first of several appearances Kate makes on the famous British music show. February 17th: Kate’s very first album The Kick Inside is released. It will eventually go on to reach No.3 in the UK chart in April 1978. March 7th: Wuthering Heights, the very first single of Kate’s career reaches No.1 in the UK chart. It is an enormous hit and goes on to be No.1 or Top Ten in many countries around the world. The next few years are the “fame” years in which Kate has a very high media profile and has a punishing work schedule. This level of media activity will not be a feature of Kate’s career in the late Eighties and Nineties. May 28th: The second single from The Kick Inside, The Man With The Child In His Eyes is released backed with Moving. It is a great success reaching number six in the UK. October 27th: Release of Hammer Horror from the forthcoming album. It reaches No.44 in the UK chart and has Coffee Homeground as it’s B-side. November 10th: Lionheart, Kate’s second studio album is released and reaches No.6 in the UK. It was recorded at Superbear studios in Nice, France in two months during the summer. December: Kate performs Them Heavy People and The Man With The Child In His Eyes on TV’s Saturday Night Live in the USA, her only American performances to date. March 9th: Release of Wow as a single in the UK. Backed by the track Fullhouse it reaches No.14 in the UK chart. April/May: Kate’s critically acclaimed Tour Of Life becomes her first and so far only tour. Kate performs throughout Britain and Europe to ecstatic reviews and packed venues. September 3rd: Release of the On Stage E.P. of four tracks; Them Heavy People, Don’t Push Your Foot On The Heartbrake, James And The Cold Gun and L’Amour Looks Something Like You. It reaches No.10 in the UK. December 28th: The BBC screen a 45 minute special entitled ‘Kate’ which includes new tracks Violin, Egypt, and Ran Tan Waltz as well as featuring a duet between Kate and Peter Gabriel on the Roy Harper song Another Day. April 14th: Breathing from the forthcoming album is released as a single. Backed with the new song The Empty Bullring it reaches No.16 in the UK. June 23rd: Release of the Babooshka single from Kate’s forthcoming album. 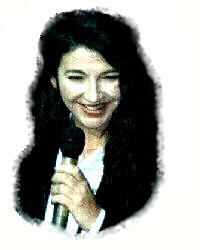 The single, which is backed by the new track Ran-Tan Waltz, becomes Kate’s biggest success since Wuthering Heights reaching UK No.5 and later in the year becoming an international hit also. 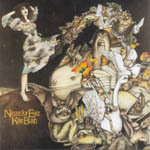 September 16th: Kate’s third studio album Never For Ever enters the UK album chart at No.1 making Kate the first ever British solo female artist to have a UK No.1 album. September 22nd: Release of the Army Dreamers single which reaches No.16 in the UK. It has two B-sides, Delius (from Never For Ever) and Passing Through Air. November 17th: Release of the non-album track December Will Be Magic Again, which reaches UK No.29. The B-side is another new track, Warm And Soothing. December: The Babooshka single goes Top Ten in Australia, Canada, and in most European countries. June 21: Release of Sat In Your Lap single. The single marks a big departure in Kate’s style from her previous work and reaches No.11 in the UK chart. The B-side is a cover version of the Donovan song Lord Of The Reedy River. Sat In Your Lap would later appear as the opening track on 1982’s The Dreaming album. October: Release of the video Kate Bush Live At The Hammersmith Odeon, an edited version of Kate’s concert from the 13th May 1979. July 21: Kate performs The Wedding List live at The Princes Trust charity concert. August: The Dreaming, the title track from from the forthcoming album, is released in the UK but only manages to peak at No.48 in the singles chart. The B-side is an instrumental version entitled Dreamtime. September: Kate’s fourth studio album The Dreaming enters the UK chart at No.3. November 2nd: There Goes A Tenner is released in the UK and becomes Kate’s only single which completely fails to chart there. However, Suspended In Gaffa is released in many other countries apart from the UK and becomes very successful reaching the Top Ten in most European countries and in Australia and Canada. 1983 is the year that Kate’s own studio is constructed which will facilitate the time-consuming experimentation which is so costly in commercial studios like Abbey Road. Kate would later describe this as the best possible decision she could have made for her work. 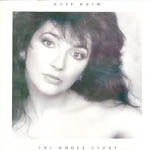 June: EMI America release a mini-album of Kate’s tracks in the USA simply entitled Kate Bush. It’s tracklist is; Sat In Your Lap, James And The Cold Gun, Babooshka, Suspended In Gaffa, and Un Baiser D’Enfant. A Canadian version is released which additionally contains Ne T’en Fui Pas. July: Kate releases the French-language single Ne T’en Fui Pas, which has a French version of her song The Infant Kiss (Un Baiser D’Enfant) as the B-side, in France and Canada. November 21st: Night Of The Swallow from The Dreaming album is released as a single in Ireland. December: Release of The Single File video containing all Kate’s videos from Wuthering Heights (1978) to There Goes A Tenner (1982). Kate spends the year working on her fifth studio album. January: Release of The Single File, a boxed set of all Kate’s 7″ singles. August : Kate performs her first UK single since 1982, Running Up That Hill, on the BBC TV show Wogan. It becomes a massive success reaching No.3 in the UK, the B-side is Under The Ivy . By September the single goes Top Ten in many countries world-wide. Running Up That Hill is also Kate’s first 12″ single. September 16th: Hounds Of Love, Kate’s fifth studio album is released to very good reviews and enters the UK album chart at No.1, staying there for 4 weeks. The album’s second side is a conceptual cycle of songs about the thoughts and dreams of a person shipwrecked at night in the ocean, called The Ninth Wave. October 4th: Release of Cloudbusting as a single which had Burning Bridge as a B-side. The single is accompanied by the acclaimed video co-starring movie actor Donald Sutherland and reaches UK No.20. October 20th: Release of Don’t Give Up, Kate’s duet with Peter Gabriel from his album So. The single reaches No.9 in the UK. October 31st: Kate performs her new single, Experiment IV, on the UK TV show Wogan. The single, from The Whole Story, reaches No.23 in the UK chart and is accompanied by Kate’s cinematic self-directed video co-starring British comedians Dawn French and Hugh Laurie. February 10th: Kate performs Hounds Of Love live at the BPI awards in London. February 17th: Release of Hounds Of Love single . It reaches No.18 in the UK and has the traditional folk song The Handsome Cabin Boy as it’s B-side. March: Kate performs Under The Ivy for the Music TV programme The Tube’s 100th edition. March: An audience of Kate’s fans are involved in the filming of The Big Sky video. April 4th, 5th, 6th: Kate performs Breathing live each night of the Comic Relief charity shows at the Shaftesbury Theatre in London. Also each night, she performs a comic duet with Rowan Atkinson called Do Bears …?. Kate peforming “Do Bears…” with Rowan Atkinson. April 24th: Release of The Big Sky, the fourth and final single from the Hounds Of Love album. It reaches No.37 in the UK. The B-side is a new track Not This Time. 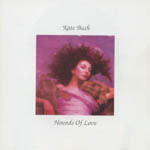 July: Kate’s video EP The Hair Of The Hound, containing the videos of the four Hounds Of Love singles reaches No.1 in the UK music video sales chart. November: Kate’s greatest hits album, The Whole Story, is released and becomes a massive success, topping the UK album charts for three weeks in January 1987. Also, the compilation is released on video and is a huge seller. It features a newly recorded vocal from Kate on Wuthering Heights, and a brand new track Experiment IV. February: UK release of the film Castaway, directed by Nicholas Roeg, and featuring a new track by Kate, Be Kind To My Mistakes as the title theme. The soundtrack is released in the UK in March. March: Kate records part of the Ferry-Aid charity single Let It Be. March 28th/29th: Kate appears at The Secret Policeman’s Third Ball concerts in aid of Amnesty International. She performs quickly rehearsed versions of Running Up That Hill and Let It Be with Dave Gilmour. May: Kate records a track for the film She’s Having A Baby directed by John Hughes. The track, This Woman’s Work will eventually become part of her sixth album and also become one of her most celebrated songs. A very quiet year as Kate works on her new album. September: Kate is featured singing backing vocals on the Midge Ure album Answers To Nothing on the track Sister And Brother. September 18th: Release of The Sensual World single. The song, accompanied by an excellent video, reaches No.12 in the UK. Walk Straight Down The Middle is the B-side and the 12″ also contains an instrumental mix of The Sensual World. October: Kate’s sixth studio album, The Sensual World, is released and reaches No.2 in the UK chart. note: The CD and cassette versions of the album also contain an eleventh track; Walk Straight Down The Middle, the B-side of the single The Sensual World. December: This Woman’s Work peaks at No.25 in the UK singles chart. Kate performs the track at the piano on the BBC TV show Wogan. The B-side of the single is a remix of Be Kind To My Mistakes from the film Castaway. Additionally the 12″ contains a new track I’m Still Waiting. 1989 also sees the emergence of more than 28 of Kate’s early home demos on bootleg recordings, recorded on very basic equipment in the mid 1970’s….songs that Kate never intended to release. February 16th: Screening by BBC TV in the UK of “The Comic Strip Presents” film GLC, for which Kate supplied the theme and incidental music. March 8th: Screening by BBC TV in the UK of “The Comic Strip Presents” film Les Dogs in which Kate stars in the female lead acting role. March 11th : Kate’s final single from The Sensual World, Love And Anger peaks at it’s No.38 UK chart position. The single’s B-side is Ken from the GLC film and the 12″ contains two more tracks from that film; The Confrontation and One Last Look Around The House Before We Go…. Mid-March: Columbia Records in the USA release a CD mini-album of songs entitled Aspects Of The Sensual World. It contains The Sensual World, Be Kind To My Mistakes, I’m Still Waiting, Ken and The Sensual World (Instrumental Mix). 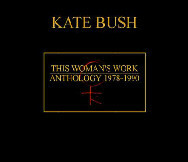 October 22nd: The boxed set This Woman’s Work- Anthology 1978-1990 is released. 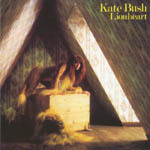 Released on LP, Cassette and CD, this contained all of Kate’s six studio albums with an extra three albums (two CD’s or Cassettes) of B-sides, live tracks and remixes. One Last Look Around The House Before We Go…. November 17th: A very memorable day is had by over 1,200 fans who attend the 1990 Kate Bush Convention at the Hammersmith Palais in London. Not only does Kate chat with fans for over an hour, but announces that, all things going well, she would plan a tour for 1991. This would have been her second ever tour after The Tour Of Life in 1979. Alas, it never came to be! Kate sang a song of thanks to the gathered audience after asking them to remember her friends and colleagues Gary Hurst (a dancer who featured prominently in Kate’s videos and in her 1979 tour) and Alan Murphy (a guitarist who worked consistently with Kate on her albums)..both of whom had died in the last year or so. November 26th: UK release of The Sensual World -The Video on video. November: Rocket Man, Kate’s track from the tribute album Two Rooms, which celebrated the songwriting partnership of Elton John and Bernie Taupin is released as a UK single and is a big pre-Christmas success reaching No.12. 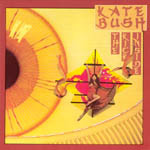 The B-side is Kate’s version of Candle In The Wind. The single is accompanied by a lively video shot in black and white. December: Kate performs Rocket Man on the UK TV show Wogan. Rumours abound this year as to the nature of Kate’s tour preparations. In the next couple of years the prospect of that tour faded…..
February 14th: A very sad day. The death of Hannah Bush, Kate’s mother. March: Kate’s single taken from the Two Rooms Elton John tribute album, Rocket Man, reaches No.2 in Australia! June: The dance act Utah Saints have a big UK hit with their single Something Good which features a prominent sample from Kate’s Cloudbusting. It reaches No.4. December 24th: BBC TV in the UK screen The “Comic Strip Presents” film “Wild Turkey” featuring a new song by Kate, Home For Christmas. Spring: First ever release of the soundtrack to the 1985 movie Brazil, directed by Kate’s friend Terry Gilliam. The CD features Kate’s version of the title track, “Brazil”, which was not used in the film itself. June 20th: Kate appears on the UK TV programme Aspel & Company and chats with Michael Aspel about her forthcoming album. She performs a new song at the piano, Moments Of Pleasure dedicated to the loved ones she has lost. September 12th: Kate’s new single Rubberband Girl from the forthcoming album, enters the UK chart at it’s peak no.12 position. Eat The Music is the single in the US and becomes a hit on alternative radio stations. November 7th: Kate’s new album The Red Shoes enters the UK album chart at no.2. November 13th: Kate’s film The Line, The Cross and The Curve is premiered at the London Film Festival at the Odeon West End in Leicester Square. Kate attends and introduces the film. It received a standing ovation! This was the film’s first ever public showing. Miranda Richardson who stars in the film with Kate also attended. November: Moments Of Pleasure is released as a single in the UK. The CD single had a new track Show A Little Devotion and the 12″ poster sleeve single also featured Home For Christmas a track from The “Comic Strip Presents” TV film “Wild Turkey”. The single reached no.26 in the UK. November 20th: The Red Shoes enters the Billboard chart in the USA at it’s peak of no.28, her highest ever chart position in the States. December: Rubberband Girl is released as a single in the USA and becomes Kate’s most succesful in that country since Running Up That Hill in 1985 being on the Billboard Hot 100 for 6 weeks. Spring: Kate appears on the new Alan Stivell album “Again” providing keyboards and backing vocals on the track Kimiad. Kate has spoken in the past of her love for this piece, and has worked with Alan on The Sensual World album. March 23rd: Kate appears at the 12th Brussels International Festival of Fantasy, Thriller & Science Fiction to promote her film which she introduces. April/May: Eat The Music released on a CD single in a number of territories outside the UK & Ireland. April: The title track of Kate’s album The Red Shoes is released as a UK single on the 5th April. The video is a segment from the film The Line, The Cross and The Curve. The B-side is a new track You Want Alchemy. A second CD contains a 10 minute remix of the track , entitled Shoedance. The single peaked at no.21. 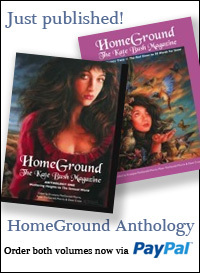 May 8th: The 1994 Kate Bush Convention is held at The Hippodrome in London on Sunday 8th May. The event was organised by Homeground/KBC. Kate appeared to introduce a screening of The Line, The Cross and The Curve, and her brother Paddy appeared performing with Colin-Lloyd Tucker, his partner in the musical project Bushtucker. May/June: Kate’s film is screened at 24 UCI cinemas across the UK. Summer: Kate supplied a variety of soundtracks for TV commercials for the US launch of the Fruitopia range of drinks by Coca-Cola. This came as a surprise to fans, an unusual project for Kate to embark on. There are 10 different “scores” accompanying “intense kaleidoscope-style manipulations of brightly coloured fruit”. The UK versions of these ads featured Liz Fraser of the Cocteau Twins on vocals. October: Kate contributed a pair of exhibits to the War Child charity’s “Little Pieces From Big Stars” exhibition, entitled Someone Lost At Sea Hoping Someone In A Plane Will Find Them and Someone In A Plane Hoping To Find Someone Lost At Sea. The artworks consisted of two small black frames within which was a black surface containing a small twinkling red light, one in each piece. They were eventually sold for £1,150. Other participants included Paul McCartney and David Bowie. October: Kate’s film, The Line, The Cross & The Curve is released on video by PMI. Miranda Richardson in a scene from The Line, The Cross & The Curve. November: The fourth and final UK single from The Red Shoes album, And So Is Love (featuring Eric Clapton on guitar), is released on November 7th. A limited edition 7″ came in a plastic wallet containing a large fly-poster for the single. Also the CD single came with three prints from The Line, The Cross & The Curve. The B-side features a lively dance remix of Rubberband Girl. Kate appeared on Top Of The Pops on the 17th of November. The single entered the UK chart at it’s peak position of No. 26. The video is a segment from the film and got plays on MTV. Christmas: Kate contributed a design towards a set of Christmas cards sold in aid of the War Child charity. The cards were part of a project by Brian Eno entitled “Greeting Stars”. Costing £5.99, the set included 12 cards, with other contributions from Eno, Peter Gabriel, David Bowie, Oasis, Radiohead and The Stone Roses. 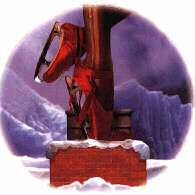 Kate’s design aped the Red Shoes cover illustration except in winter scenery with the shoes replaced by skates. Kate signed the card with the word “peace”. 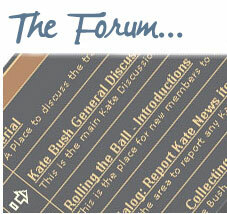 December: Kate explains what she’s been up to this year in the December Kate Bush Club newsletter. The Common Ground album also features tracks from Elvis Costello, Sinéad O Connor, Bono & Adam Clayton, Brian Kennedy and Liam Ó Maonlaí among others. Kate’s track is a composition by Seán O Riada from 1969 with lyrics from a poem by the 18th century Irish poet Peadar O Doirnín. The album entered the Irish charts at no.6 and peaked at no.5. “I met Kate just a few weeks ago. She told me that she had only seen one musical in her life. That was “Godspell” some twenty years ago so I arranged for her to see “Sunset Boulevard”. The reason I mention this is because I was amazed that she was so amazed by it. Not just the show but the orchestra, the lights, the costumes. We automatically assume that stars are used to opening nights, fancy parties and hobnobbing with sophisticated friends. I think that I can say that Kate is one of the most normal, ordinary mega-stars I have ever met. There is no side to her at all. No show-business veneer….. I asked Kate if she had a favourite singer and she said her favourite is the blackbird and her second favourite is the thrush- well, I told you she was different. I also asked her which one of her records she particularly liked and she said “Running Up That Hill”. August: On the 3rd August 1996 the biggest and best (by far!) Kate site was launched on the web. 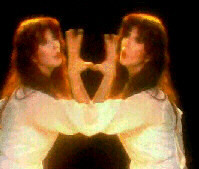 Gaffaweb was put together by a group of Kate fans on the newsgroup rec.music.gaffa (which is also served by it’s companion mailing list: love-hounds) with the aim of becoming the ultimate Kate Bush resource available online. We were all gob-smacked. It contains a vast archive of stuff perfect for anyone pining away thinking “she’ll never release anything again….”, to spend hours mulling over each excellent section. Archives of love-hounds postings, a massive gallery of images (entitled Wow! ), discography, videography, all the lyrics (even the demos), a dictionary of all things Kate, a great FAQ (frequently asked questions) and The Garden (a huge resource of info in itself). November: Kate is featured on background vocals (or “additional vox” as Prince prefers) on the track My Computer from his album Emancipation released 18th November 1996. This follows on from their collaboration on Kate’s track Why Should I Love You from 1993’s The Red Shoes album. As with that track, it seems that the recording was made by swapping tapes by post. While most people say that Kate’s voice is hard to make out in the mix, Q magazine described it as “the finest moment” of the album, and a “career highlight” for The Artist. The album Brian is referring to here is 1990’s The Great War Of Words, and his comments have prompted some Kate fans to wonder if his beautiful song Captured from that album is about hearing Kate for the first time…. February: The Kick Inside is re-released on vinyl as part of the “EMI Centenary Vinyl”. It was released in it’s original sleeve and is “direct metal mastered” for improved sound quality. Kate’s sculpture raised £600 for the charity and was exhibited to the general public in the ground floor gallery of the Economist Plaza in St. James’s Street London from the 6th to 16th of February 1997. June: Hounds Of Love has been re-released in a special remastered edition as part of EMI’s centenary celebrations. The CD is contained in a cardboard slip-case which also contains a not-very-exciting booklet on the history of EMI records. 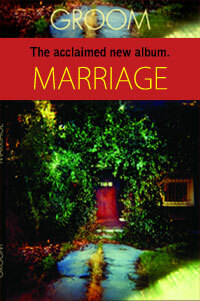 The CD itself has been enhanced with new photos and layouts, an introduction by Peter Fitzgerald-Morris (an editor of Homeground), and there are six additional bonus tracks; The Big Sky (Meteorological mix), Running Up That Hill (12″ mix), Be Kind To My Mistakes (the B-side of the 1989 single This Woman’s Work), Under The Ivy, Burning Bridge and My Lagan Love. The reissue has received excellent reviews in the music press and received ***** from Q magazine. Summer: Kate’s brother Paddy has been involved in a documentary made for Channel 4 television in the UK. It is about a voyage of musical discovery he has undertaken to Madagascar. Summer: Hounds Of Love has been reissued on vinyl as part of the continuing EMI centenary celebrations. Fans have commented that the record sounds good, but that there is no inner sleeve. October 15: In the 15th October edition of the London event guide Time Out, there is a report that one of their writers bumped into Kate at the premiere of “Maddie” at the Lyric Shaftesbury theatre, and that the conversation turned to Björk. 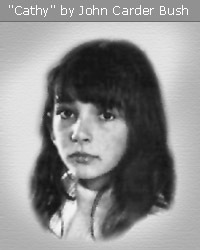 It seems that Björk sent Kate a demo she had made of Kate’s song Moving in 1989 and that they have since kept in touch. The article claims that “In fact they have been talking about the possibility of a duet”. Thursday November 20th: Among the celebrations to mark the Golden wedding anniversary of the Queen, Kate was invited to a banquet hosted by British Prime Minister Tony Blair, celebrating the contribution of various fields of endeavour during those 50 years. Kate was joined at her table by former Prime Minister John Major, cricketer Mike Atherton and ballerina Darcy Bussell. The banquet was held at the Banqueting hall on Whitehall. December: There are rumours that Kate could be appearing on a tribute album to the late English singer-songwriter Nick Drake released in 1998. An album of this kind was rumoured to feature Kate a few years ago but never surfaced. The album may be produced by Joe Boyd who was Nick’s friend and producer and who has also worked with Kate when she collaborated with the Trio Bulgarka. Mark Lanegan, the singer with The Screaming Trees is said to have recorded Clothes Of Sand for this record. Brian Kennedy, Paul Buchanan (the singer with The Blue Nile) and Paul Weller are also rumoured to be involved. So far most of this information stems from an interview given by Kate St. John (ex-Dream Academy) who is said to be co-producing the tribute. A biography of Nick (who died at the age of 27 in 1974) by Patrick Humphries has just been published, the anthology Way To Blue has been reissued and a recent Irish Times article says that “there are advanced plans for a tribute album and a documentary”. Thanks to Mikael Ledin for this news. 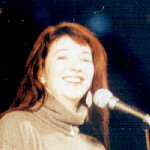 …the story continues in our News archives – being updated here at katebushnews.com since January 1998! Thanks to Jon-terje Lilleby for the video captures. Cloudbusting video capture by Stefan Punkenhofer…thanks.